Home » Children's » Une Leçon dAquarelle. 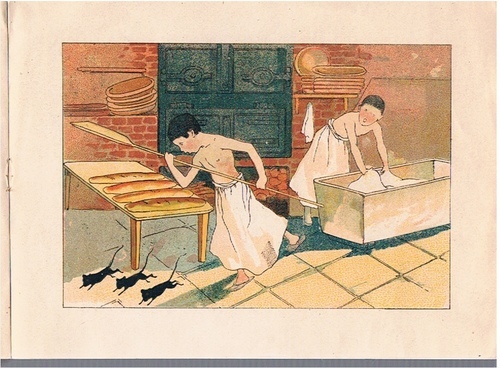 Le Pain. n.d. (1900s). Landscape format, original colour litho wrappers, 16pp.. Advertisments inside cover, four colour lithos plus four uncoloured duplicates (for colouring in). Small crease to lower corner else in excellent condition. 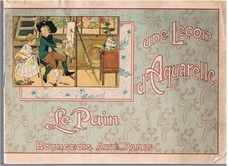 ; A very pretty unused example of a turn-of-the-century French childrens colouring book. Published as an advertisment for the company Bourgeois Ainé, Paris - leading suppliers of oil-paint and art materials.